Arthritis injection therapies provide a safe and non-invasive alternative to surgery. With a proper and prompt diagnosis, the treatment of the affected area will typically allow most patients to resume normal activities and return to work in a relatively short period of time.. Neck pain is very common and is often caused simply by stress or poor posture. Shoulder pain includes any pain that arises in or around your shoulder. Shoulder pain may originate in the joint itself, or from any of the many surrounding muscles, ligaments or tendons. However, there are many other potential underlying causes of neck pain or shoulder pain. Shoulder pain tends to worsen with activities or movement of your arm or shoulder. Some of these are not very serious. For instance, simple muscle strain or overexertion can create discomfort in the neck. Other causes of neck pain, however, are more serious. For instance, neck pain can be caused by underlying diseases that gradually wear down the neck, by tumors, and by abnormal configurations in the bones and joints of the neck. Sudden, severe injury can also occur, such as that caused by car accidents or falls. 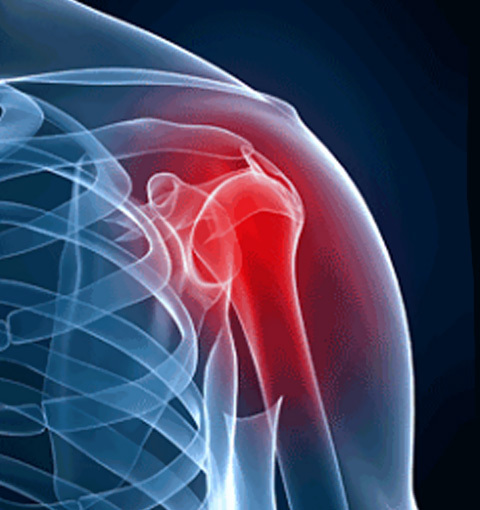 For shoulder pain a rotator cuff disorder causes pain and weakness in your shoulder. It may be uncomfortable or impossible to do everyday activities, such as combing your hair, tucking in your shirt, or reaching above your head.. There are several tests that your Pain Clinic NYC surgeon can conduct to diagnose the exact cause of your neck pain or shoulder pain. The exact test or tests they choose will depend upon what part of your neck or shoulder they want to examine more closely, and upon what problems they suspect. For instance, the doctor may order an X-ray of the area to more closely examine the bones and to rule out problems such as tumors. This test is useful for detecting the presence of arthritis, broken bones, slipped discs, and other issues related to the bones in the neck area. An MRI, otherwise known as magnetic resonance imaging, can give the doctor a closer look at the nerves of the area and help them to diagnose pain caused by torn or damaged tissues. Doctors may order a myelogram for patients who cannot have an MRI for some reason or for a more detailed view after an MRI has been performed. This process, which can be used along with or in place of a CT scan, involves injecting a contrast material into the spinal column. The myelogram can be used to better diagnose tumors, herniated discs, inflammation, and other problems with the spinal cord. Electrodiagnostic studies are another tool that doctors can use to help diagnose the cause of your neck pain or shoulder pain. These tests analyze the electrical activity in your muscles to discover abnormalities. They are often used to determine the causes of issues such as tingling and numbness in the arms and shoulders. The treatment for neck pain or shoulder pain depends upon the diagnosis. Your doctor will work with you to manage your pain and recommend the best course of action for your particular problem. Minor problems, such as overexertion or inflammation, can often be treated with ice or heat. A mild painkiller such as ibuprofen, naproxen, or Tylenol can also help to ease the discomfort of minor neck and shoulder injuries. Stronger drugs, such as muscle relaxants and antidepressants, may be prescribed if your doctor feels that other types of medication will not be effective. Corticosteroid injections are sometimes used to alleviate the pain from arthritis, while physical therapy may be practical for other types of injuries. Extreme cases may require surgery, such as when dealing with tumors, nerve problems, or spinal cord issues.